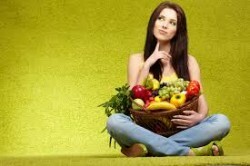 Following a detox diet can improve many aspects of your health! With the advent of processed foods, fast foods and preservatives, global food supplies have taken on more chemicals than ever before. According to the U. S. National Library of Medicine, the amount of xenobiotics, such as metals and synthetic chemicals, has seen exponential increases over the past century. Human exposures to scores of PBTs, also known as persistent bioaccumulative toxicants are the unfortunate result. The good news is the body is well equipped to deal with a reasonable amount of toxins from day-to-day. The bad news is, the average American consumes way more food-based toxins than the body can handle. This over-consumption of toxins has resulted in a range of adverse health effects that become the often-mentioned diseases and health problems of today. Toxic chemicals from the environment and in the food supplies will inevitably accumulate inside the body unless detoxing becomes a routine part of a person’s life. Endogenous toxins exist as byproducts from various biochemical processes in the body. These toxins tend to accumulate in joints and muscle tissue. Exogenous toxins come from the environment via food, water and air supplies. Autogenous toxins come from generations of accumulated toxins with each newborn baby carrying an ancestral line of toxins. While a person may only be exposed to incremental amounts of toxic materials at a time, such as each time make-up is applied, repeated exposures can cause toxins to build-up in the body over time. Even in cases where a person eats fruits and vegetables on a regular basis, gallons of neurotoxic pesticides and herbicides enter the body over the course of a year’s worth of eating. Optimal health stems from delicate chemical balances between hormones, nutrients and brain neurotransmitters. Anything that disrupts the body’s chemical balance can potentially offset any number of chemical systems. The brain, in particular, uses chemicals as a means for communicating messages and regulating most every bodily process. Not surprisingly, years of toxin build-up will inevitably affect normal brain functioning. Without a regular detox diet to fall back on, bodily systems continue to deteriorate into old age. With these concerns in mind, detoxing should definitely be at the top of anyone’s to-do list.